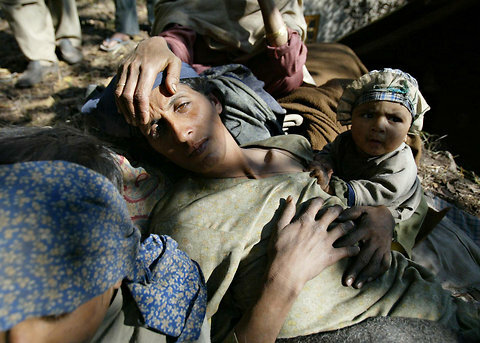 Rafiq Maqbool/Associated Press PhotoShaheen, wounded in an earthquake, waits for medical help at Jabla village, 69 miles north of Srinagar, Jammu and Kashmir, Oct. 9, 2005. Médecins Sans Frontières shut down its operations in the Kupwara district of Kashmir last month and will significantly reduce its activities in the valley as a whole, cutting a staff of 100 by more than half. The group, known in English as Doctors Without Borders, has operated a mental health program in Kashmir since 2001, its longest-running India project, and its doctors also provide services like immunizations and postnatal care in the area. It began working in Kupwara, which is on the Indian border with Pakistan, in 2005 after an earthquake there. As violence has lessened in Indian-administered Kashmir recently, the government plans to reduce security bunkers in the capital of Srinagar, there has been a push to lift an unpopular act that gives the armed forces special powers in the region, and tourists have flocked back. Local officials are making plans for new development and improvement projects. 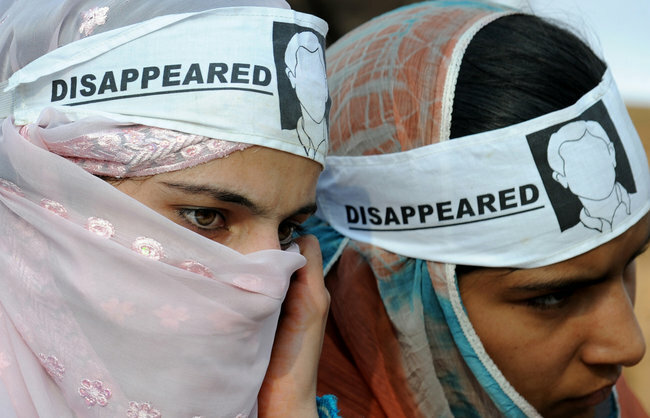 Still, MSF’s departure leaves a vacuum in Kupwara and the Indian-administered Kashmir Valley as a whole, which is still severely in need of mental health services, experts say. Nearly one in five Kashmiris is depressed, according to the psychiatrist Mushtaq Margoob, who published a study in 2006 estimating that almost 60 percent of Kashmiris have witnessed traumatic events. Since MSF’s departure last month, Kupwara has only one psychiatrist in the district hospital for its population of almost 900,000. Kashmir as a whole is short on psychotherapists, who are trained counselors rather than full-fledged doctors who prescribe drugs. Government hospitals have few positions for psychotherapists because drug-based psychiatry is favored. Kupwara is a largely poor, rural district and one of the most heavily militarized areas in India-administered Kashmir, owing in part to the Border Security Forces that police the Line of Control separating the areas controlled by India and Pakistan. The literacy level is below the national average, and one of the greatest challenges for MSF staff at first was spreading awareness of concepts like depression. Some mental health professionals say their services are still desperately needed. Although it has closed its Kupwara activities, MSF has started a new mental health program in one of the hospitals in Baramulla and plans to expand to nearby Sopore, two towns in central Kashmir with a heavy military presence and strong separatist sentiment in the local population, which MSF says leads to a disproportionate amount of violence compared with the rest of the valley. MSF was lauded by local physicians for educating the public as well as doctors about mental heath, and also for training staff in counseling in an area where medication is often seen as the key treatment for a traumatized population. Before MSF entered the valley, the concept of psychotherapy was virtually nonexistent, MSF officials say. But even trained counselors have difficulty finding jobs now that MSF has pulled out. Zahoor Ahmad Hawar, a sociologist with a bachelor’s degree in mechanical engineering, worked for MSF for seven years and went to Holland for a psychotherapy certificate degree from the Netherlands Institute of Psychology. He left MSF in August and now has a part-time job at a private engineering college. “Every district hospital, there should be one psychiatrist there, but there is no psychotherapist,” he said.